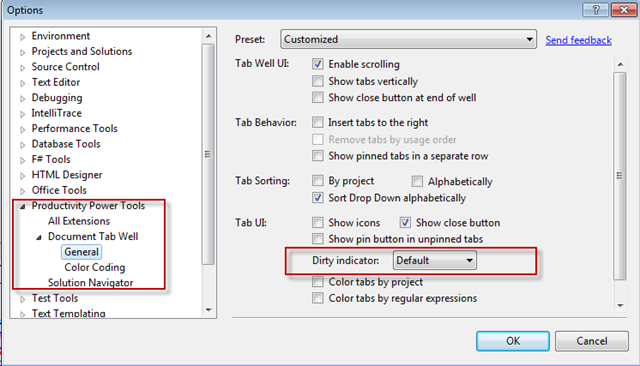 Visual Studio 2010 Productivity power tools introduced many new features for VS developer. Here I am going to talk about one small but useful features of the productivity tool. You can use “Shift + Enter” to add semicolon (;) to end of the line. Instead of putting “;” end of the line, you just press “Shift+Enter”. It will automatically add “;” at the end of the line and will move the cursor to next line. As shown in the picture. If you press “Shift+Enter” over there, power tool will automatically add “;” and the end and the cursor will be moved to next line. Visual Studio 2010 productivity power tool introduced many new and interesting features with in the Visual studio 2010 which are really great for developer and will help all of us improve the productivity. You can download the Productivity tool from http://visualstudiogallery.msdn.microsoft.com/en-us/d0d33361-18e2-46c0-8ff2-4adea1e34fef . Solution Navigator is a new window that has been introduced with in this power tool which is an enhanced Solution Explorer. 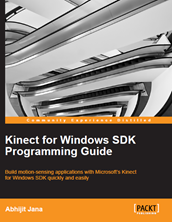 This window having many features like search code, highlight code, code navigation, File open, save, edit status etc. Along with these features one of the interesting features that I liked is “View this as root”. This features is very much helpful when you have the many projects with in a solution or your solution hierarchy is large. 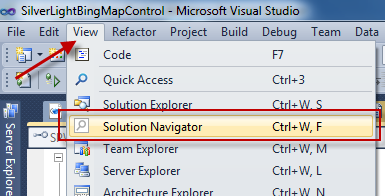 To start “Solution Navigator” , go to View > Solution Navigator or use (Ctrl + W, F) as shortcut key.This will open the “Solution Navigator” window. Look and feel wise it is same as “Solution Explorer” but functionally it is quite different. You will find a “icon” at the right to side with all the files/folder under that solution as shown in below picture. 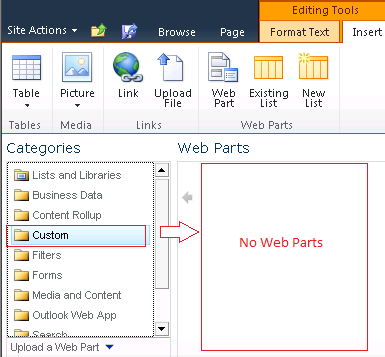 Custom web parts not getting displayed after deployment in share point 2010. how to resolve ? In Share point 2010, we can create Visual Web parts very easily from Visual studio and can deploy it directly from Visual Studio. 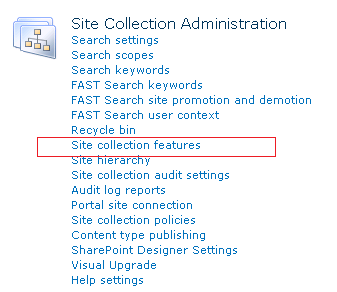 After deployment, when adding a web part on a sharepoint page you might face the issue that custom web parts are not getting displayed under custom web parts section though your deployment was successful from Visual Studio. 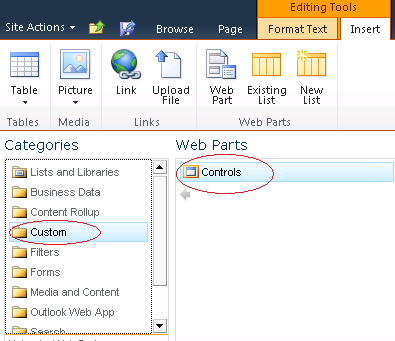 This problem might happen due to activation of features list of your corresponding web parts. To resolved this issue you need to perform the following steps. How to pass ASP.NET server side array to client side and binding them with Html element? This is a very often requirement for an ASP.NET Developer to pass a sever side array to client side and access them through java Script. There are several ways to do that. But here I am describing one of the simplest steps to pass server side array to client side. In this blog post you will get to know two things, first one is the how to pass the array from server side to client side and second one is the how to bind that array to an empty “html dropdown” list. In below example, I have registered one array with name of “Skills”. View State is one of the most important and useful client side state management mechanisms. It can store the page value at the time of post back (Sending and Receiving information from Server) of your page. ASP.NET pages provide the View State property as a built-in structure for automatically storing values between multiple requests for the same page. Now, let’s have a look into the changes in ViewState Control in ASP.NET 4.0. There is a massive change in View State Control in ASP.NET 4.0 which is very much helpful for developer also. Asp.net 4.0 added a new property to Page object and server controls called ViewStateMode. I have recognized by MVP (Most Valuable Professional) by Code Project again for the year 2010. This is second time I have been awarded with MVP. I have received MVP because of Contribution to the Code Project Forum over the year 2009. I would like to congratulate all the MVP Winners 2010.